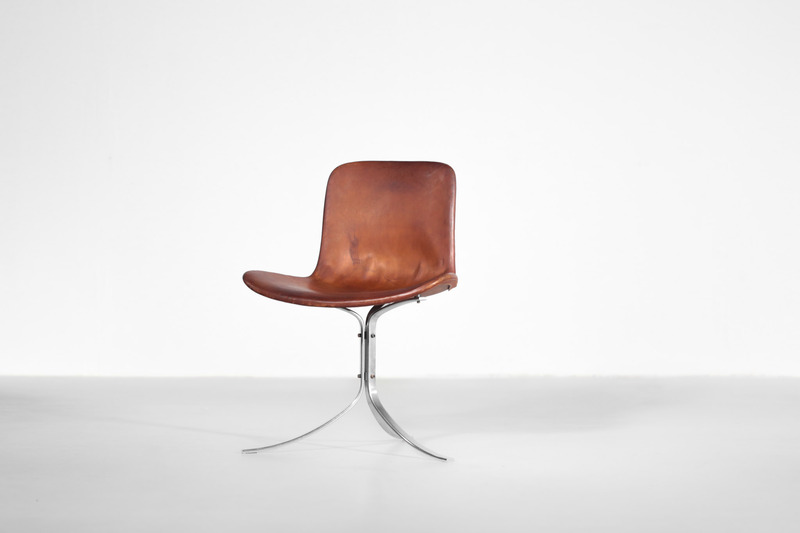 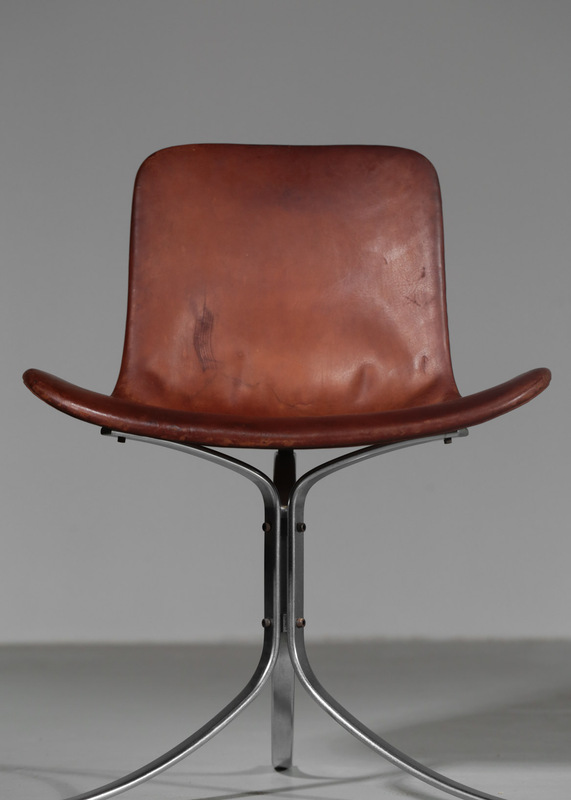 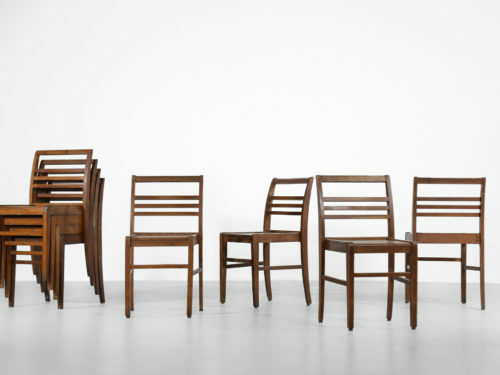 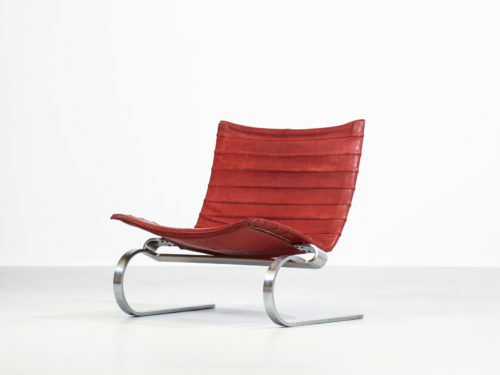 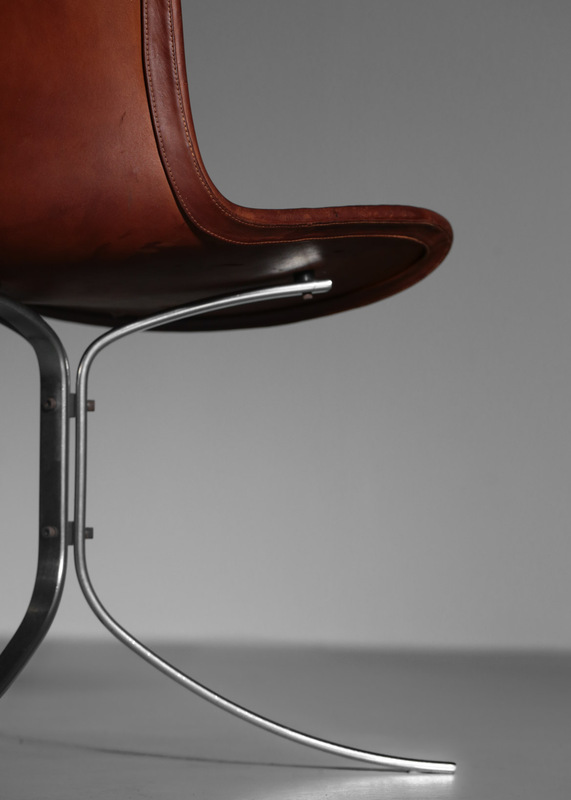 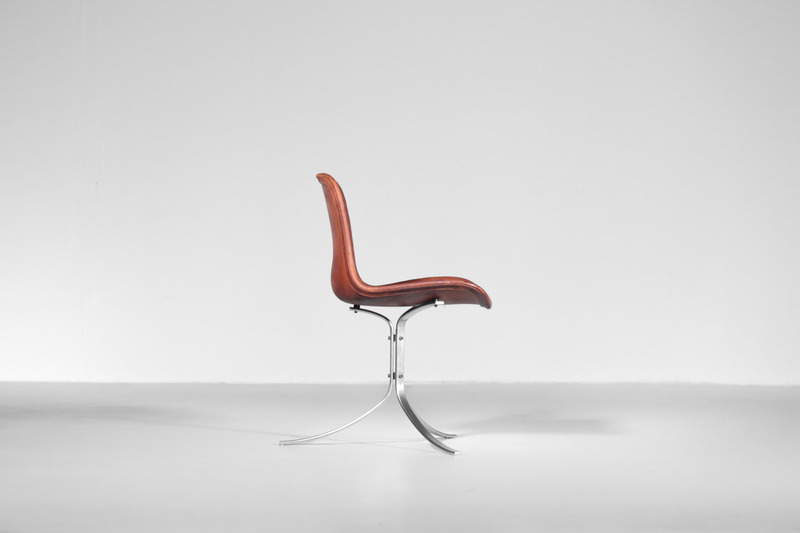 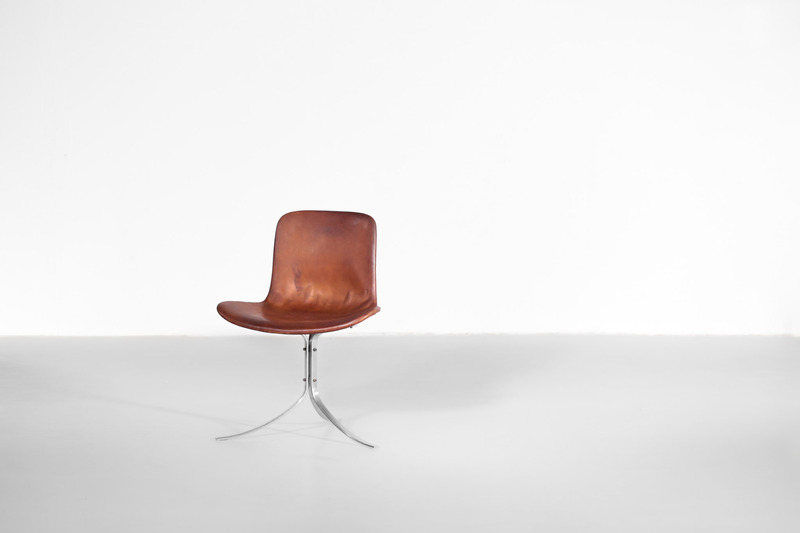 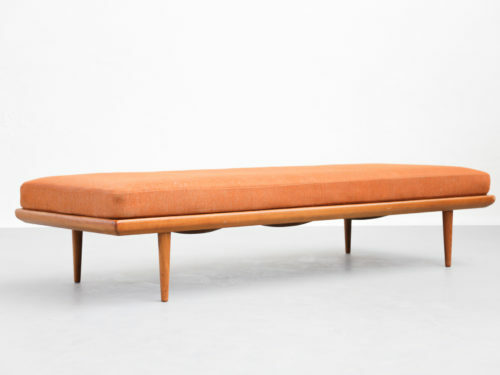 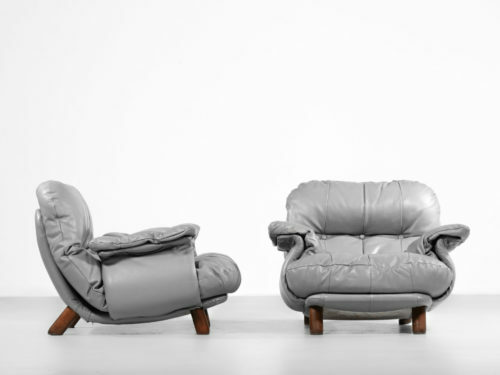 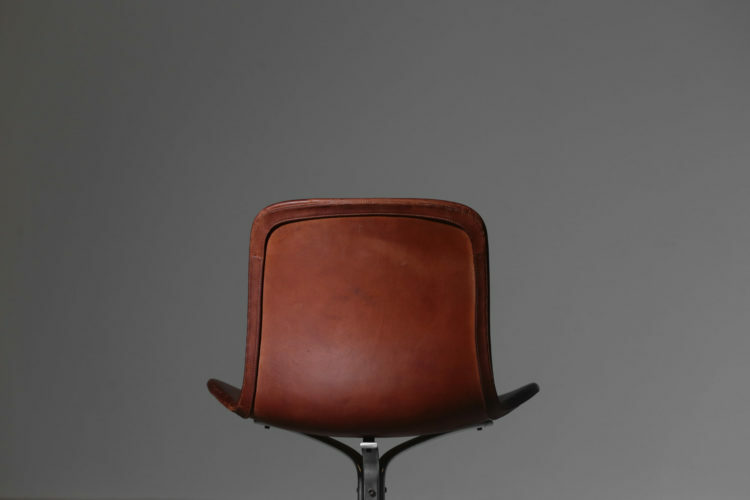 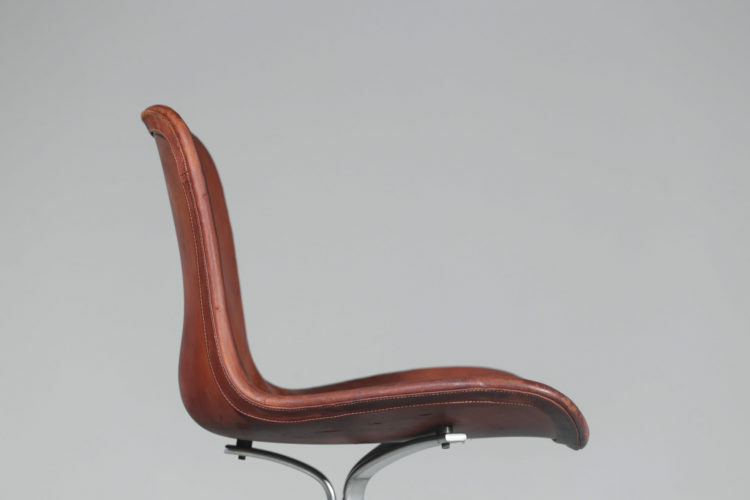 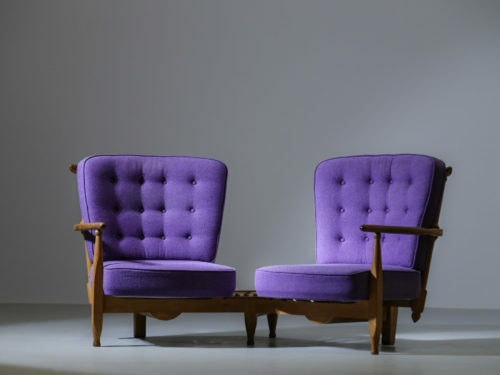 First edition for this rare chair designed by Poul Kjærholm in 1963 and produced by E. Kold Chistensen. 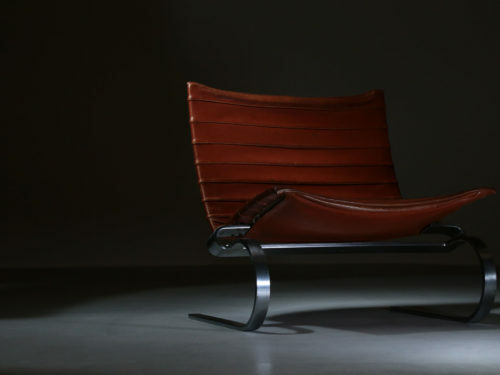 Made of stainless steel with cognac leather. 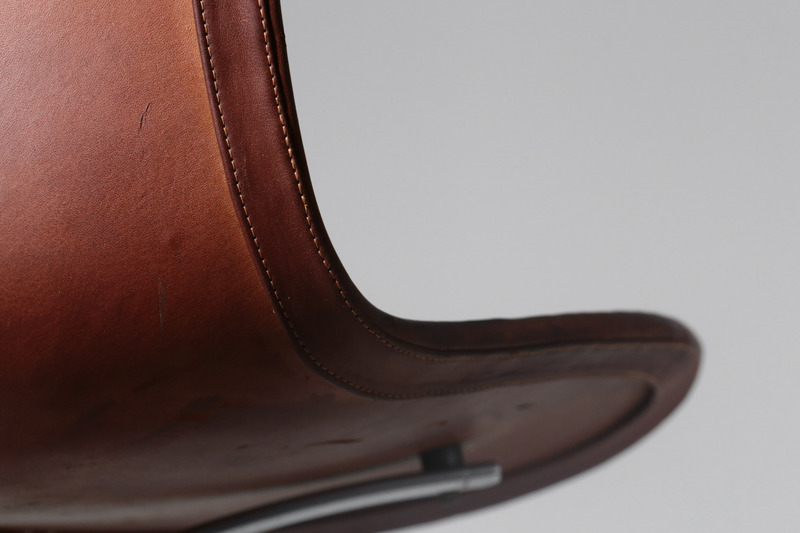 Stamp under the seat. 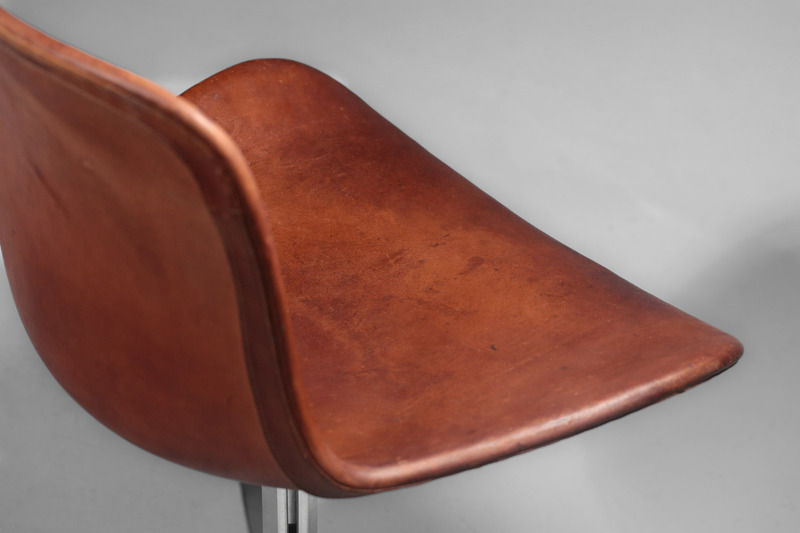 Condition : Good condition, wear consistent with age and use. Really nice patina.